A useful website for finding and measuring your runs. You can also log your training. Women only running group based in Croydon. Dulwich Runners, based at the Edward Alleyn Club in Burbage Road, Dulwich, SE London. Honiton Running Club, based in Honiton, East Devon, Southwest England. Clyde Hart, coach to Michael Johnson and formerly Jeremy Wariner, on training for 400m. Insights into the training methods of Nic Bideau who coaches elite athletes including Craig Mottram. A good triathlon site with a lively forum. The website of jogscotland Airdrie. 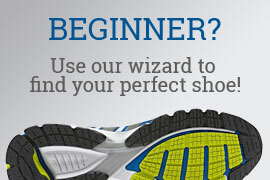 Includes advice for beginners to running. Website of South London Harriers running club. Website of Stopsley Striders running club. Healthandfitnessadvice.com - contains strength training tips and advice. An online running club affiliated to UK Athletics. Suitably ridiculous site for the discerning English gentleman. Athletics news plus forums. A big student population but plenty of older types too. US running website with news and an extensive forum that is frequently used by a stack of Brits. Website of Britain's top miler Andrew Baddeley. Racing animal and all round good bloke too. Blog of Wells City's Adrian Marriott who is a 2:18:57 marathon runner.A regular on the UK scene but has some great tales from his travels too. The club is open to all students of the University of London, regardless of ability, and everyone is welcome to come to our training sessions. In addition to the ULU training, the crosscountry lot also run with their respective college clubs. Wrecsam Tri was formed in 1995 when a small group of enthusiasts starting meeting at Gwyn Evans Sports Centre in Wrexham, North Wales where Steve Bold, the Centre Manager started providing specific triathlon focused swim sessions. We are a "FRIENDLY" club where athletes and supporters alike can enjoy a good social atmosphere after training and at specially organised social events. Sports Coach - provides advice for coaches, athletes, sports science tutors and students studying sports related qualifications on topics relating to exercise physiology, successful coaching and athletic development.